With less than two weeks to go before the much-awaited Paris Motor Show, BMW today revealed its 6 Series Coupe concept for the first time. The 6-Series Coupe, based on the BMW Gran Coupe concept, blends traditional values with an innovative design language, and presents a definition of luxury-class 2+2-seater driving enjoyment and exclusiveness. However, the model will maintain all the hallmarks of a BMW coupe, including the stretched bonnet, the short front overhang, a passenger compartment set well to the rear, and a low silhouette incorporating a dynamically flowing roofline. The concept model also includes the new LED headlights, which combine the typical BMW twin round headlight format, freestanding 10.2-inch iDrive Control Display and the Head-Up Display system. 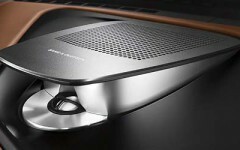 The hi-fi system was designed especially for the Concept 6 Series Coupe by Danish audio systems specialists Bang & Olufsen. The driver-centric interior design, which is said to be elegant and exclusive, is typical of BMW and a hallmark of a sports coupé. 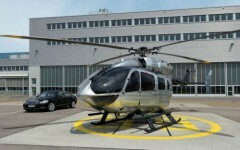 Inside, the carmaker has used two-tone leather upholstery with wood trim and black details. 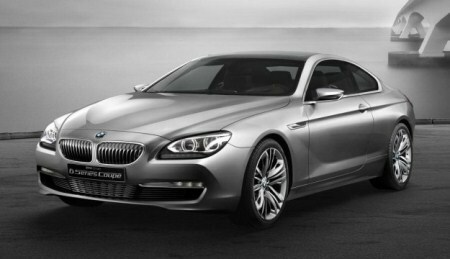 The luxurious BMW 6 Series borrows several design lines from the Concept Gran Coupe and can be very well matched with the model presented at the Beijing International Automotive Exhibition in China.